Around this time every year college campuses are bustling with families and friends of graduating seniors. Excited and optimistic students dressed in their collegiate robes and caps file into the graduation ceremony ready to take their years of classroom experience outside the walls of campus. The reality of student loans might not sink in for many students just yet, but it is a harsh reality once the bills start coming a few short months after graduation. High student debt has become an increasingly larger issue for students each year as the cost of higher education has risen dramatically, far surpassing salary increases in entry-level jobs. Students are quickly becoming aware of the actual debt they face after graduation and many are tackling that debt with more than one job. According to the Project on Student Debt, in 2010, the average undergraduate debt a student faced after college was $25,250. Some students who attended private colleges and universities are reportedly paying close to $1,000 per month in college loans after graduation. A recent article series from The New York Times, Degrees of Debt, examines the amount of debt certain students are dealing with after college and the effect it’s having on their lives. For graduating seniors who already took out loans, the debt is inevitable; but for those still contemplating their college choices, there are more options to consider. 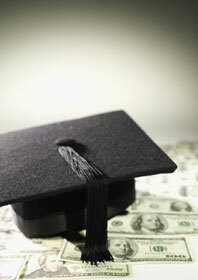 Choosing a college based on lower cost alone is not necessarily a wise move. Money is important, but your college choice should be based on more than one factor. There can be a happy medium between finding a college you want to attend and one you can afford. If overwhelming student debt is not on your list of goals after college graduation, consider looking into attending a public two-year college in your state. This enables you to get a good amount of general education requirements under your belt while planning a transfer to a four-year institution with a more specialized program for your major. This option gives you a chance to decide what major is right for you while simultaneously saving money on tuition and fees. By the time you transfer you can focus on taking classes that pertain to your major and graduate with a degree from a more notable college or university with significantly less debt. Another option to consider is attending a four-year public college or university in your own state. Although many public universities' tuition and fees are also on the rise, the cost is much more manageable in many states. You may also find opportunities for discounted tuition in neighboring states, and we have this list of state schools offering such tuition discounts. Calculate how much money you will have to contribute to your education, how much money you have received in grants and scholarships, and how much you think you can put towards your education while in school, either through working a part-time job or work study. If you still need to take out a loan at that point, look into federal (versus private) loans, and don’t borrow more than you absolutely have to. College debt is something that most students will deal with as a result of their education. If you plan your finances accordingly and are reasonable about the type of institution you can afford, then your debt will be significantly more manageable making the transition into post-college life much smoother.